Outsourcing is no longer a dirty word. Forward thinking companies are constantly looking for ways to make their organisations more flexible and competitive and traditional structures are no longer the only option. In a global, digital world, doing things the way they’ve always been done, can actually mean going backwards. Organisations are now confidently and comfortably transferring their support functions to external suppliers to gain efficiency and specialised expertise. 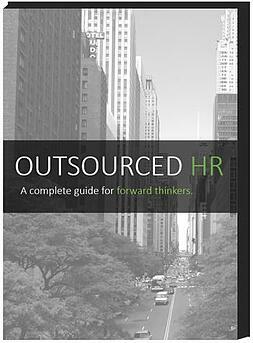 Find out everything you need to know about Outsourced HR in our ebook- A complete guide for forward thinkers. Download our free eBook by entering your details!